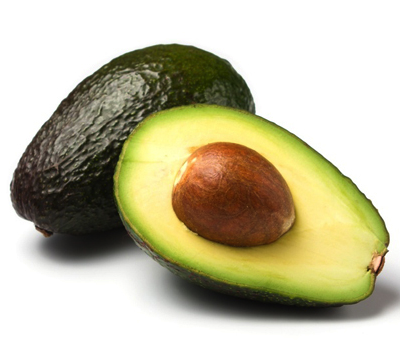 With nearly 20 vitamins and minerals in every serving, avocados are one of the healthiest foods you can eat. While most of us think of them when we’re making our salads and sandwiches, they actually make a great addition to a wide range of desserts. To kick-start some culinary inspiration, four healthy chefs shared their favorite avocado recipes exclusively with us! Add the ingredients into the food processor and pulse until mixture starts to come together. Press crust into a 9″ Spring form pan. Pour in filling. Refrigerate until filling sets up and becomes solid. In a blender, combine bananas and milk. Puree until smooth. Add the following seven ingredients and continue to blend until smooth. Serve in frozen mug or glass. Top with banana and crushed nuts, if desired. Place all ingredients, except for avocado, in a high speed blender. Puree until smooth. Add avocado and blend briefly to desired consistency. Serve immediately. Blend all ingredients (except slivered almonds) until smooth using a blender or food processor. If it’s too thick, use a little more almond milk. Refrigerate for 30 minutes. Top with slivered almonds.